If you have small space on your server and want to utilize in efficient way then you must disable WordPress post revision so it does not save all revision of post in database and It also help you to get database backup fast (Less data take less time). WordPress by default auto saved all revision in database so it’s better to stop saving all revision by making few changes. Here I am writing steps to accomplish this task. Step 1. 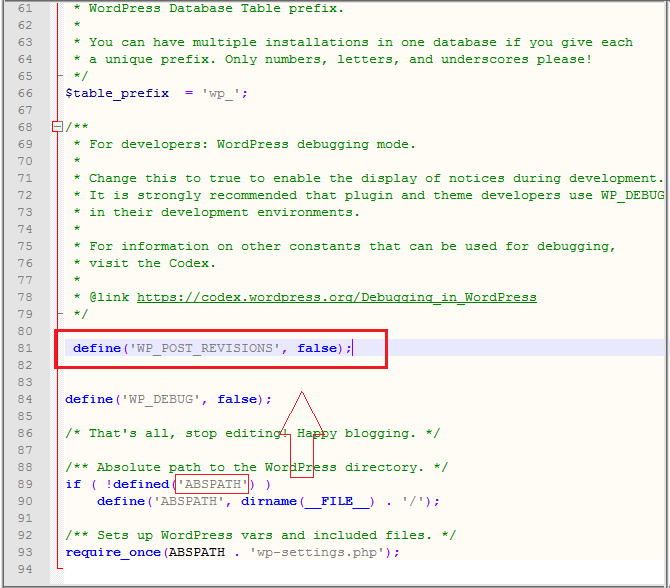 Open wp-config.php file which present at root location of your WordPress site. Step 2. 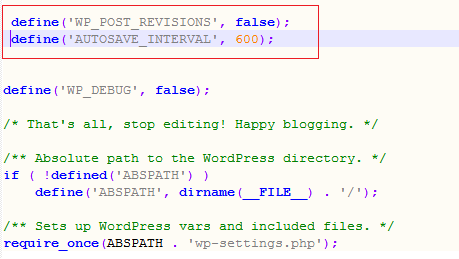 Now insert below code in file wp-config.php above line of “ABSPATH” as see below. 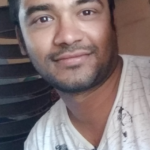 By this way it ask WordPress application to not store revision of new post. Step 3.You can also delete your old revision post by just run below SQL code in database query box. Step 4. If you want to increase your revision time then you can add new code below revision code so it look like. It will increase auto save time of your post from 1 minute to 10 minute now . so chance of Auto save would become very less. Hope you like this post and now you can easily disable WordPress post revision.